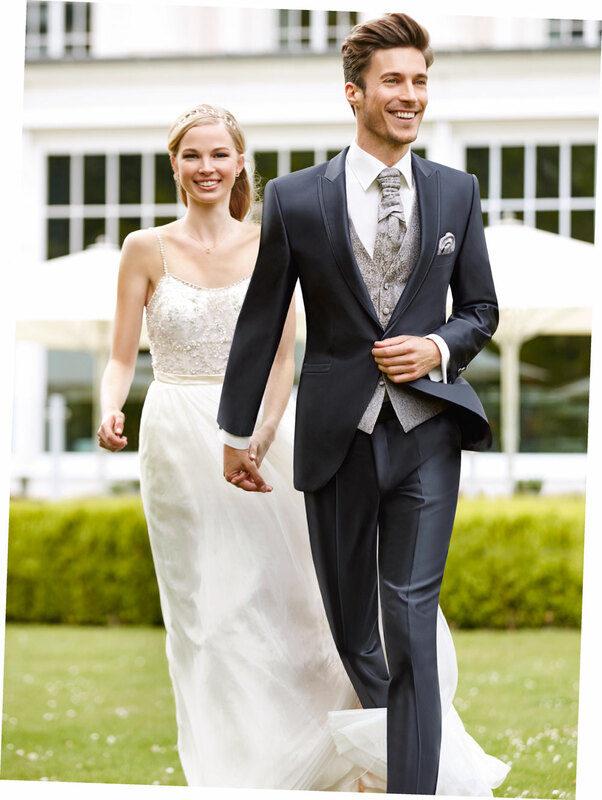 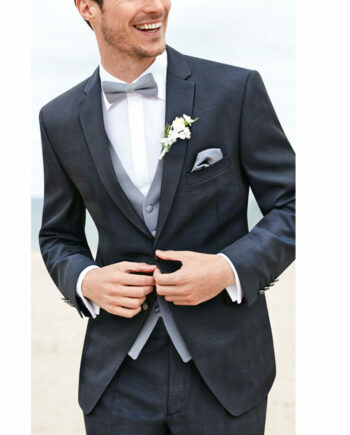 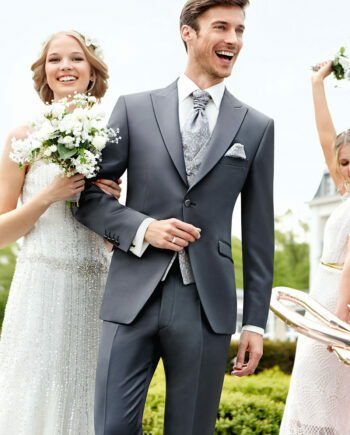 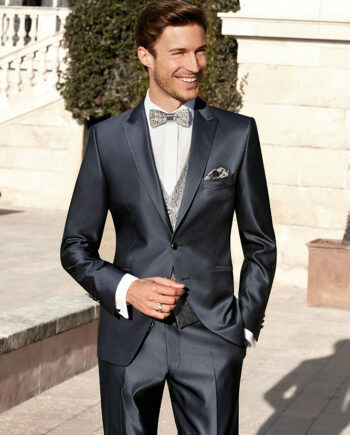 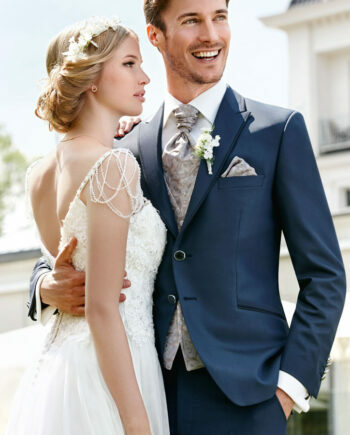 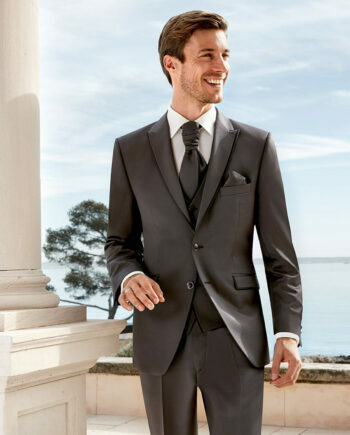 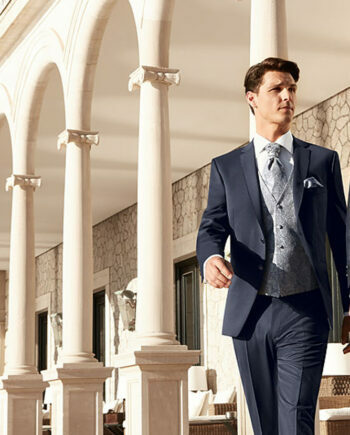 Grey is the absolute trend color when it comes to wedding suits, because the color blue in the meantime has become a basic color of the AFTER SIX collection of wedding suits. 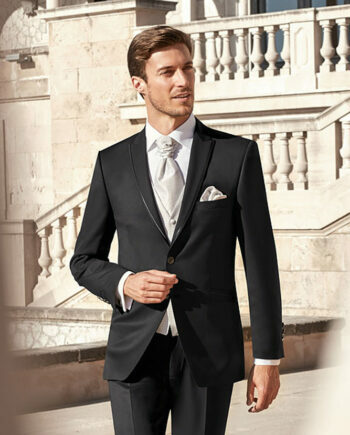 This Couture Uni look is a brilliant plain fabric of high quality made from a fine composition of wool and polyester with a nice elegant Couture shine. 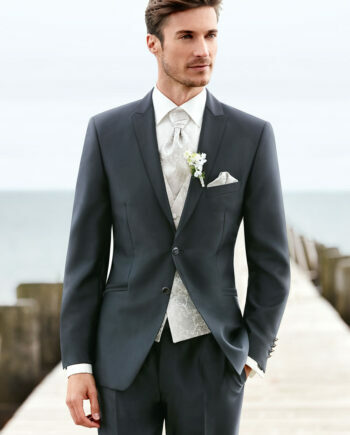 Thanks to the styling with waistcoat and accessories in silver this look gets a noble touch without having the bride take the backseat.